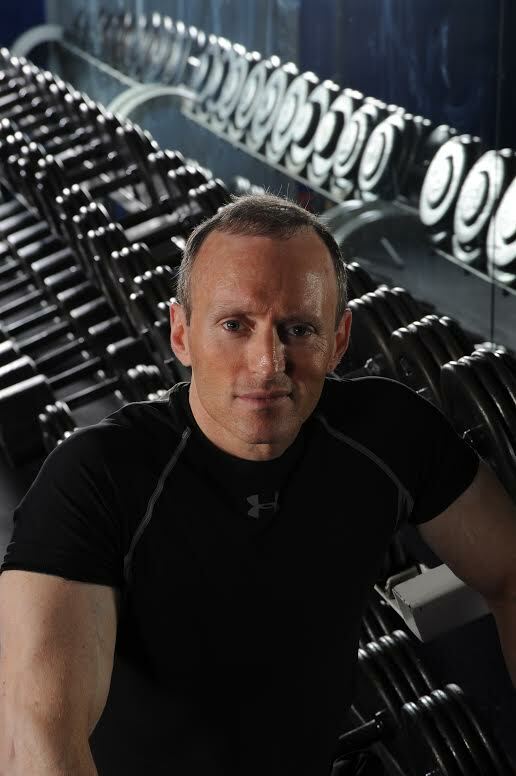 One of the most prolific and sought-out health and fitness professionals in the world, Dr. Brad Schoenfeld (PhD, CSCS, CSPS, FNSCA) is a man with many a feather in his cap: researcher, multi-title winning bodybuilder, award-wining fitness expert and personal trainer, best-selling author of The M.A.X Muscle Plan ( Amazon US / Amazon UK ) and Science and Development of Muscle Hypertrophy ( Amazon US / Amazon UK ), and he has been featured in a staggering number of mainstream media publications and outlets across TV, radio, online, and in print – if we were to list all of his achievements and media appearances, these might be end up being longer than this episode’s actual show notes! In this episode, we catch up with Brad, and the latest research on optimal training and maximizing muscle hypertrophy. If you’d like to hear more from Brad, check out our first episode here. QUESTION(S) OF THE DAY: What’s the highest-volume approach to training you’ve tried and towards what end in mind? How did it turn out for you? Please let me know in the comments at the bottom of this post. Ben Pakulski’s Muscle Expert Podcast | 30 – Brad Schoenfeld, New research on the mind-muscle connection, future of nutrition and training optimization, eccentric training and more! Hi Lawrence & Brad – great interview guys, so much content here, I will have to listen again to fully unpick it all.. A few first impressions though: on the one hand I am actually quite happy to take 70-80% of the gains with my current HIT programme. I find it very straightforward and enjoyable and it really fits in well with my schedule (I am currently doing bodyweight only, full-body routine, 3 x mornings per week for 40 minutes/ workout before my family wake up at 7am. 1 or 2 sets of around 8 or 9 different exercises – always to momentary muscular failure and a steady, controlled tempo which I am guessing is around 3/3 seconds). I could see myself maintaining this routine over the long-term as it fits so well into my schedule, I really enjoy it and I cannot see this style of training ever laying me out with injuries. I am also very happy that it doesn’t take up more than this amount of time, since like most of your listeners I am not a professional fitness coach or bodybuilder – we have other things which take priority in our lives, so doing something that integrates so easily into my busy lifestyle, is sustainable over the long-term and yet still provides 70-80% of the gains that dedicated/ professional ‘high-volume’ bodybuilders would get is an absolutely amazing result in my opinion! ie the cost/ benefit trade-off seems to be optimised by HIT: even if Brad is right and the outright results themselves aren’t. The extra time/ effort/ long-term wear & tear required to get that extra 20-30% is surely not worth it for anyone whose life is not dedicated to fitness/ bodybuilding/ competing? On the other hand though – Brad has given me a few pointers on how to mix things up a bit more to move up higher to the top end of this 70-80% of results. For example, I can see where he is coming from in terms of periodisation/ undulation – it has struck me that my approach above may be a little too rigid/ constant to see continual improvements – despite me going to failure each time (thought anyone?) So I will aim to have one of my 3 mornings, say on a Wednesday, experimenting with higher speed cadences (eg 1/1) – but still controlled and trying to not rely on momentum – just to mix things up a bit.. And the other thing that struck me and I am actually a bit confused about now (must listen to this again) is that coming into this podcast I though that Brad and Stu Philips were both aligned and convinced now that low loads were every bit as good as high loads as long as we take each set to failure or near-failure. That is what led me to start home bodyweight training 6 months ago as it would seem to be optimal if the load is not important, since risk of injury and joint/ tendon strain/ long term wear & tear is minimised by lighter loads.. Yet, although Brad indeed started out by saying he had recently come to that same conclusion, halfway through the episode he seems to be saying that load needs to reach some minimum threshold in order to produce results. I am assuming this implies that pure bodyweight exercises would fall below this load threshold? But what is the the threshold exactly? All very confusing to be honest.. So, my take-out here is I may resort to switching one of my workouts (maybe Friday) back to 2 sets of 8 different home dumbbells exercises for each muscle group – again to vary things up a bit more. I do like this style of exercising (a la Martin Berkhan’s ‘Reverse Pyramid Training’) and have been missing my dumbbells (especially the pump I get on the second slightly lighter set!) but it will interfere a bit with my schedule as I don’t feel right handling heavy weights at 6.15am when I am not fully awake – so will have to get this session in on a Friday lunchtime instead – not quite so convenient. Also, I have injured myself (not in a major way) doing the dumbbells in the past (even on a slow, controlled cadence), so am a bit wary about opening myself up to the higher chance of injuries again (I am 47 years old by the way..) Still if it’s only once per week with heavy dumbbells, and the other 2 x sessions are bodyweight then I guess the risk is minimised a bit – at least for wear & tear..
All in all a very interesting listen, and really left me in 2 minds.. On the one hand Brad is saying that HIT will provide 70-80% of the gains, but then he says he is using it currently but basically only maintaining his previous gains. And where does that leave me with my bodyweight exercises to failure? Am I still getting my 70-80% of my potential maximum gains (which I would be very happy to take) or is it more like 50% – or lower (in which case I would not be happy with that)? I’ll give it another listen tomorrow – but I would be interested to hear if anyone else is going to try anything different after hearing about Brad’s latest work? Just to clarify – For my Friday heavy dumbbell session I meant switching to 2 x sets each of 8-10 different exercises in TOTAL (full-body routine, 6-10 reps per set) – not per muscle group! ie still sticking to a 40-45 minute workout time. I haven’t suddenly started trying to emulate Arnold with a mammoth 4 hour workout! Thank you Rob for your thoughtful comment. You raise some excellent questions. I’ve asked Brad to reply if he has time, but he’s got a lot on his plate so we’ll see. Quick update – I have been experimenting with Brad’s 1/1 tempo on my Wednesday and Friday morning workouts, and I am extremely impressed! I can still keep everything under control and prevent the weights flying up/ down under momentum, but as you get halfway through the set, even though you push for 1/1 it just naturally slows down. That said though, I felt it enabled me to push harder than I usually would: more reps, and more sets in the same 45 minute workout period. I know more sets is not always considered superior, but doing it this way, it gives your muscles (and endorphins maybe?) such a pump that you just want to crank out more sets and rest less in between.. When my young daughter saw me doing the chin-ups this morning she was really surprised: “I thought you could only do a few of those really slowly” was her comment!! I would highly recommend anyone who considers themselves open-minded in this area to at least give it a try for a week to see how you respond to it – what have you got to lose? I will probably try to mix it up a bit as per Brad’s thoughts: so maybe first set slowly (3/3) then second set faster (1/1) or maybe just have ‘fast’ days on Mondays and Fridays with a ‘slow’ day thrown in on Wednesday. All in all very impressed – thanks Brad! Thanks for the comments Rob. As mentioned in the podcast, a workout needs to fit your lifestyle. This involves taking into account your goals and the time/effort required to reach those goals. You obviously have a good handle on this and thus a lower volume approach would seem to be most appropriate. I would, however, take issue with the comment about “long-term wear and tear” from higher volume approaches. I have seen no evidence that increasing volume in this regard would substantially increase this risk provided proper structuring of the program (i.e. taking appropriate deloads, etc) and paying attention to proper form. Long term wear and tear / cumulative damage on the body is something that is a very serious consideration when it comes to exercise . Instead of taking appropriate deloads which is based on periodization which was simply developed for athletes ( pro and amateur ) to down cycle their training in accordance with their PED protocols , why not simply allow more time for recovery ? More exercise is going to result in more stresses being accumulated by the musculoskeletal system over time , even if proper attention is being payed to proper form and the like . The use of certain exercises which pose orthopedic risks to the body is also something that needs to be considered , and such exercises should be avoided in favor of safer alternatives . Great interview! I appreciate your questions and Brad’s approach, particularly how he strives to precisely answer the specific questions that you are asking. 1. Many of the people who try HIT and do well with it have tried a higher volume approach and greatly struggled to see any improvements. I’ve certainly been among them – it was when I cut volume that I started to see increases. Am I missing something about Brad’s approach? Were there refinements to my training technique that I could have made in high school and college (when, hormonally, it was supposed to be easy to make gains) that would have helped me? HIT has been the only exercise program I’ve tried that has delivered on its promises. Not to be adversarial about Brad’s points, I just wonder. 2. Personally, if I were going to spend that much extra time training, I would continue to do HIT and then spend the extra time on activities that I enjoy. Seems like the increase that Brad says you’ll gain from following his approach isn’t worth the significant increase in time you have to spend. With that said, very informative interview and I’m glad to listen to someone with a perspective outside of HIT. Thank you Matt. I’ve asked Brad to comment if he finds the time. Brad would need to respond to #1. I think both Brad and I would agree on #2, but Brad is dealing with those that are willing to invest more time if it means optimal gains. Pleased you enjoyed the alternative perspective. I don’t want my show to become dogmatic about HIT. Thanks, Lawrence. You’re definitely NOT dogmatic about HIT. It’s great stuff, but the best way to understand why we’re choosing one approach is to understand the alternatives and make a decision that works best with our individual needs, goals, and circumstances. Your podcast continually helps me to ask the right questions and make those decisions. We definitely shouldn’t be dogmatic about anything except one thing , the truth . The reason that i advocate and use hit training is because it’s logically sound and sensible along with efficient ( getting the most out of doing the least ) and i’m sure that’s the reason you use it as well . To answer your first question, it’s impossible for me to comment on your individual situation. I guess it is possible that you were grossly overtrained from a high volume approach; individuals have different recovery abilities, so there are a wide spectrum of responses. But when making recommendations on the topic, we must defer to research that strictly controls the variables to be able to draw true cause/effect. Of all the studies on the topic to date, only one showed a very slight benefit fro a lower versus higher volume routine, and that study was carried out in untrained elderly women. All the other studies (14 in all) have shown a beneficial effect of higher volumes, with the spectrum of results ranging from a slight effect to a substantial effect. Now studies report the means so certainly some will respond more and others less to volume; that’s why recommendations are only guidelines that must be customized to the individual. But on a general level, there would be no evidence whatsoever that a HIT routine is superior to higher volumes and lots of evidence that it is suboptimal. As far as your personal feelings, that is perfectly understandable. I specifically noted that every decision needs to take cost/benefit into account. If the additional gains aren’t worth the added time, then by all means you should opt for the lower volume approach. But to others those gains are meaningful and the added time/effort is worth it. Thanks so much, Brad, for your thoughtful response! In retrospect, I was following cookie cutter programs in high school and college and not exercising proper critical thinking skills to evaluate the question. I see the point – “high volume” and “low volume” are general terms, and what is high versus low volume needs to take into account all variable involved for the individual. Prior to kids, I may have been interested in trying that approach. Right now, with kids, work, and another project I’m undertaking, there’s not a lot of spare time. None the less, I’ll keep it in mind. Hey Kamen. Glad you enjoyed the experience. Matt is great and he has a nice little thing going on there. You’re most welcome sir. Keep me posted on what you decide to do re ARX. On my behalf, I just couldn’t agree more! I’m a bit miffed by your comments. You scoff at 3-4% increases in hypertrophy? Do you realize that in our meta-analysis, the stratified lowest volume group only achieved an average of ~5% growth! If you don’t think that increasing that amount by almost double, then you basically are saying the gains made from a low volume approach are irrelevant. And as far as bodybuilding, there is something called natural bodybuilding competitions that prohibit use of steroids, so I’m not clear on your point? My job as an educator is to provide people with an evidence-based opinion on the topic. I specifically detailed the nuances, and noted that whether the time/effort trade-off is worth the extra gains will be completely up to the individual. For my own personal situation at this point, that tradeoff is not feasible; I’m content with maintenance for now. If that doesn’t make sense to you then I’m not sure what else to say. You seem to be clinging to a closely-held belief and letting confirmation bias rule rather than being open to changing opinion based on evidence; that’s a decidedly unscientific approach. And as far as Drew Baye, he’s someone I respect from every interaction that I’ve had with him, and has shown to be open-minded and appreciative of the nuances of exercise science. I’m not familiar with the particular study you mention, but I’d be happy to address if you post the critique. Great that you took the time to come back and respond to our comments Brad – total respect! Talking of respect, I hear that Drew has a lot of time for you too – Lawrence any chance of setting up these 2 heavyweights for what would be one hell of a round table?!! Hey Brad, I really did not want to sound as if I am commenting on your meta analysis and the results you got! At least I am not questioning your scientific part and contribution overall. What I really meant to say is that I got nothing out of the information shared! Basically, the overall impression and the message for me sounded like: If you do more, you will get more results, BUT only if you can properly recover and it’s nice to avoid some risks!?! Well that tells Me nothing new. But may be it does to others! Then at times non scientific arguments slipped through. The reason I mention bodybuilding is because hypertrophy matters there most. I am well aware what a natural bodybuilding is and simply because I am one such builder and have been one for a long time time. And since we discuss the advantages of training methodology…I see not 5%, but a 30% difference in hypertrophy between naturals and typical…but hey, the difference is not due to the methodology used, but in substances… Pardon me, but that is my met analysis for this one. Again we talk hypertrophy and that’s why I mention bodybuilding. But in the end, that is also fine, because as I,You and others here repeatedly have stated, every opinion and information is welcomed here on this blog and we like it this way! Everyone should get things with his own wits. I couldn’t agree with you more with regards to Mr schoenfeld . With all due respect to Brad it just sounds like more of the same . I know that Brad says he bases his training recommendations on scientific evidence and that may in fact be the problem . An interesting article i read that was a critique on scientific research said that there is scientific evidence ( peer reviewed by the way ) that will support any conclusion you want . Knowing this i don’t see how one can base his / her conclusions on scientific evidence . Instead we should be basing our conclusions about training or anything else for that matter on logic / reason and what is sensible and practical . In Brad’s defence, he’s explained how important it is to consider the weight of evidence and he does seem to take a bigger picture view. Clearly 1 study isn’t always enough to prove anything. That’s fair enough but it seems to me that Brad only considers the evidence that supports his training beliefs . The problem with scientific evidence especially meta analyses is that the pre conceived notions and biases of the reviewer tend to skew the results / conclusions that are arrived at .